Sunroom Design & Addition | Volo & Schaumburg, IL | Chris Kare, Inc.
with a beautiful Sunroom or Screen Room by Chris Kare! SunLife 4000… All Year Enjoyment! 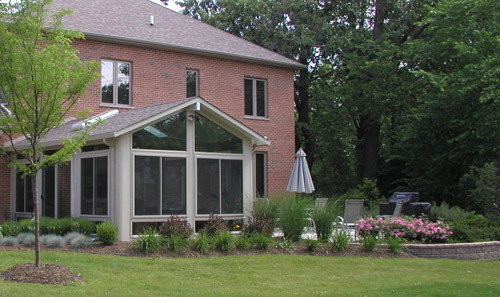 This Sunroom is designed with Room Addition Quality and stands alone in the sunroom industry. Vinyl skin provides Dent Resistant and Maintenance Free care. Walls are fire rated so you can experience peace of mind knowing that you are safe. Color match technology can allow any style and color scheme for your home. Life Time Glass Breakage Warranty. Life Time Room warranty. SunLife 3000… 3 Season Enjoyment! This Sunroom is designed for homeowners that want a special room for seasonal use. SunLife 2000… Screen Room for Spring & Summer Enjoyment! 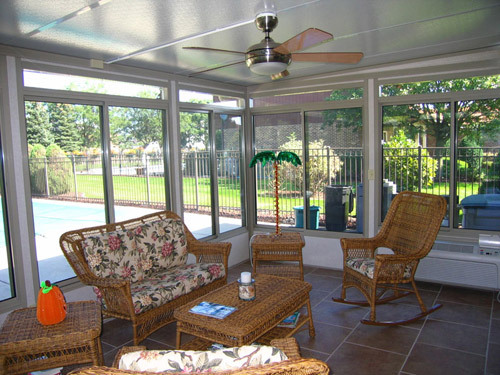 This Sunroom is designed for homeowners that want to enjoy Spring & Summer without the bugs! Painted Aluminum Finish that will last for years without having to paint.